Alles reibungslos, nett, zuvorkommend :) Gerne wieder! Gute Lage sowohl für Wanderungen und Ausflüge als auch zum Bummeln durch Bad Harzburg. Angenehme Wohung,gute Atmosphäre,mit Blick auf den Liftberg.JederZeit wieder.Nachbarn hörte ma nicht,alles ,was benötigt wurde ,war vorhanden und nur 5 Minuten zum Solebad. Wir waren absolut zufrieden und kommen jederzeit wieder! Nichts, es ist nicht zu empfehlen, wenn es eine Geschäftsreise ist. Es kann keine Rechnung ausgestellt werden. Ich kontakte den Inhaber nun schon das dritte Mal und er antwortet nicht. Gute Lage, ruhig und zentral. Idealer Ausgangspunkt für Ausflüge und Wanderungen. Appartement gut ausgestattet und gemütlich, Lage in ehemaligem Hotelkomplex mit Sauna und Schwimmbad. Kostenlose Schwimmbad- und Saunanutzung ist super. Im Haus gibt es eine Kegelbahn, die günstig gemietet werden kann. Bad Harzburg ist eine tolle Stadt mit toller Gaststättenversorgung. Wandermöglichkeiten sind ausreichend vorhanden. Auch das Thermalbad ist zu empfehlen. 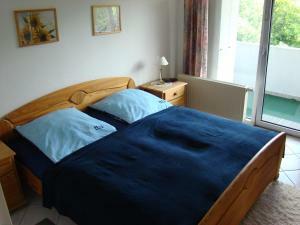 Lock in a great price for Apartment Kurhausstraße – rated 8 by recent guests! One of our best sellers in Bad Harzburg! 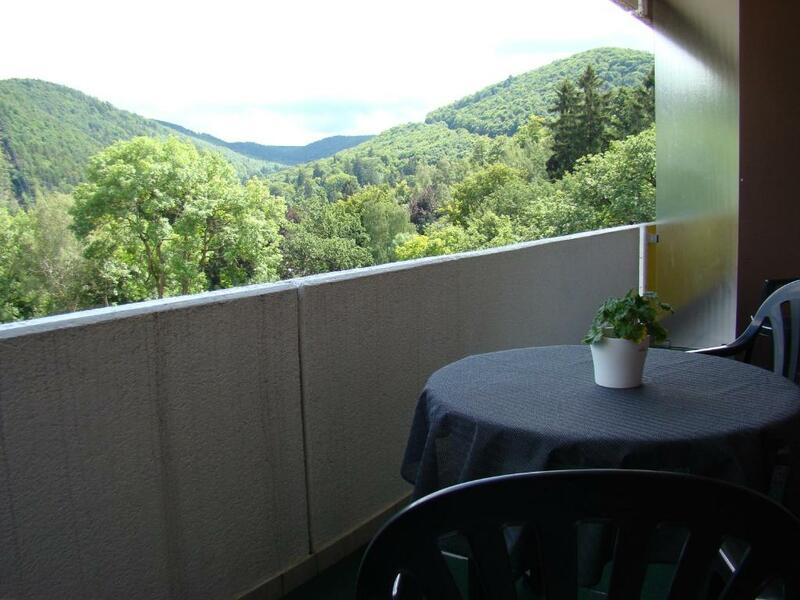 Located a 17-minute walk from Bad Harzburg Health Resort, Apartment Kurhausstraße offers accommodations with a kitchen in Bad Harzburg. 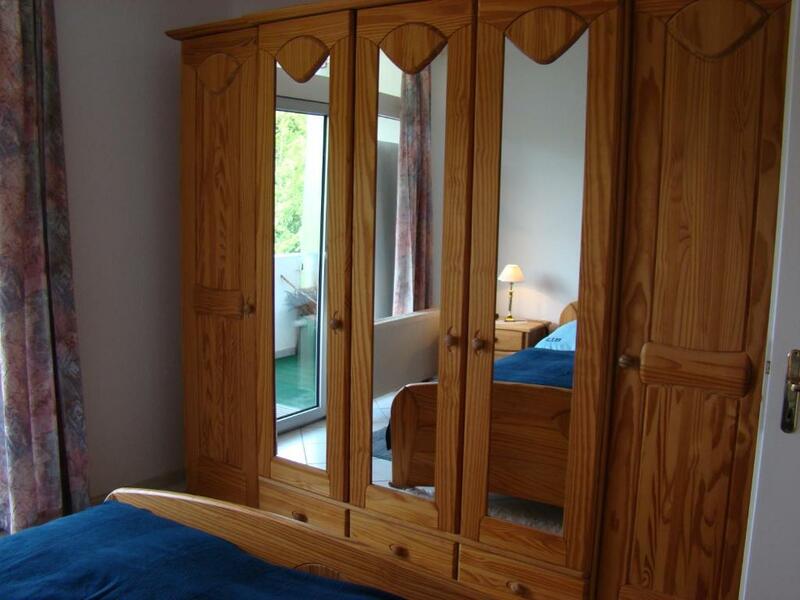 The property is 0.6 miles from Burgberg-Seilbahn. The apartment includes 1 bedroom, a living room, and a bathroom with a hair dryer. A flat-screen TV is available. Guests can use the sauna. A terrace is available for guests to use at the apartment. The nearest airport is Langenhagen Airport, 69 miles from the property. When would you like to stay at Apartment Kurhausstraße? This apartment features a well-equipped kitchen, a private bathroom, a bedroom, and a living room with a sofabed and a flat-screen TV. There is a gym, a swimming pool and 2 saunas in the building free to use for guests. Hello and welcome on the side of our beautiful Apartments Kurhausstraße. It is located in Turm 1 of the former Appart Hotel in Kurhausstraße 18 in 38667 Bad Harzburg. 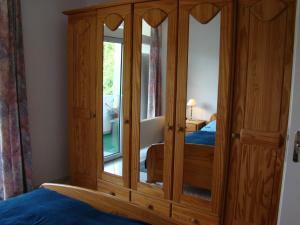 The apartment is lovingly furnished, as we use the apartment from time to time. Especially the kitchen leaves nothing to be desired. A highlight is of course the swimming pool with wellness and fitness area! Especially because it can be reached without leaving the house. You can reach the area dressed directly in the bathrobe. In the immediate vicinity, within walking distance you will find the fairytale forest, which is a great experience for and with children. The treetop trail invites you to enjoy the Harz atmosphere in airy heights; Especially in winter! But you can also just walk on the Burgberg, watch the luxe, learn the history of the Harzburg, or just relax and enjoy the cakes, cakes or hearty specialties of the Harz region in the small cafe on the Burgberg. Places of interest such as the Rabenklippe or the cross of the east can be seen during extensive hikes. A ride down with the Burgberg cable car then rewards for the effort of the ascent. After the hike, you will find the brine baths. This is not far from your accommodation. There you can warm up in the bathrooms and try out the different saunas. The Harz has so much more to offer! You will be amazed! Info materials are already available in the apartment. You can even get up-to-date information about the event by email after booking. House Rules Apartment Kurhausstraße takes special requests – add in the next step! Please inform Apartment Kurhausstraße of your expected arrival time in advance. You can use the Special Requests box when booking, or contact the property directly using the contact details in your confirmation.